Behind every great day is a great night at the Comfort Inn Cordelia hotel in Fairfield, CA near Six Flags Discovery Kingdom, Napa Valley wineries and Travis Air Force Base. Nearby destinations include Jelly Belly Factory Tour, Pepper Bellys Comedy Club, Anheuser Busch Tours, Westfield Shopping Town Mall and Infineon Raceway. Cadenasso Winery, Ledgewood Creek Winery and Wooden Valley Winery are also close. Enjoy amenities like free hot breakfast, free WiFi, free parking, fitness center and outdoor heated pool. 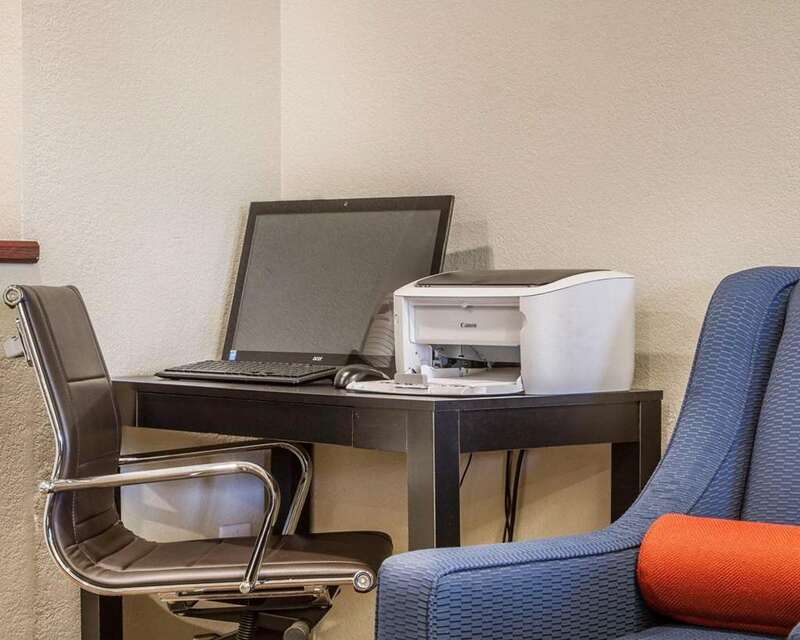 Guest rooms include a flat-screen TV, desk, coffee maker and hair dryer. Also, earn rewards including free nights and gift cards with our Choice Privileges Rewards program.